Impeccably designed NEW SFH by award-winning Chicago builder, Landrosh Development. This 4 bed/3.1 bath stunner is fully loaded w/ upgrades! 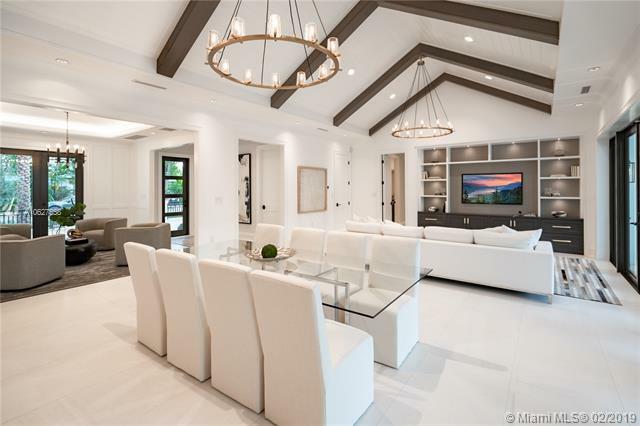 The main area exemplifies pure elegance w/ 14 vaulted ceilings & shiplap/beam detail, custom built-ins, & trim; true chefs kitchen w/ Subzero/Miele smart touch appliances, pantry, custom cabs, & adjacent mudroom; large bedrooms w/ organized closets, 8 doors & 10 ceilings; master suite incl all stone bath w/ double vanity, water closet w/ Toto Neorest toilet/bidet, & designer fixtures; huge closet & separate office. LEDs t/out, designer fixtures & lighting, porcelain floors in main areas & 7 white oak in beds. $80K landscaping plan includes ext lighting & irrigation. Back yard boasts a pool/hot tub/deck combo & gazebo w/ outdoor kitchen. Amazing!